The final installment in Nathaniel Philbrick’s Revolutionary War trilogy may be the strongest yet. First, Bunker Hill covered the opening salvoes of what came to be a protracted war of attrition. Then Valiant Ambition explored the role of Benedict Arnold in that great conflagration. Now the combat draws to a close in the final chapter, In the Hurricane’s Eye: The Genius of George Washington and the Victory at Yorktown. The war was effectively at a stalemate as Philbrick’s account opens. America controlled the land with a strategy of attack and retreat, living to fight another day in the wilderness. Britain controlled the sea and, consequently, many coastal cities such as Charleston and New York. In the Hurricane’s Eye presents two contrasting key battles to illustrate the manner in which the war was fought and concluded. The pivotal battle at Guilford Court House in North Carolina (March 15, 1781) was the first direct step to ultimate victory. General Charles Cornwallis “won” because Nathaniel Greene chose to retreat in order to ensure survival of his army. After the battle, Greene led his army into South Carolina and attacked British positions in the interior. British commander Charles O’Hara retreated to the safety of Charleston on the coast and noted afterwards, “Nearly one half of our best officers and soldiers were either killed or wounded…and what remains are so completely worn out by the excessive fatigues of the campaign.” “Greene had so effectively eviscerated Cornwallis’s army” at Guilford that the British had to retreat to Wilmington, North Carolina, another coastal city, for supplies and rest. Nevertheless, this “technical” win convinced the British ministry that progress was being made even though the British had effectively ceded control of the interior to the Americans. The French navy was the final weight that changed the swing of the pendulum to favor the Americans. Battles and weather combined to place the troops of General Cornwallis on a narrow peninsula at Yorktown, Virginia. In August of ’81, British troops marched south from New York while the British navy sailed north to rescue Cornwallis’s troops. When the British navy came to his rescue, the French navy attacked on September 5, 1781. No American sailors were involved, which may explain why it has garnered little attention from historians. Yet, as Philbrick explains, “the Battle of the Chesapeake has been called the most important naval engagement in the history of the world.” There was no clear winner; however, the British fleet was so severely injured that it was forced to sail to New York for repairs. Seven thousand British and German mercenaries were not rescued and that made “Washington’s subsequent victory at Yorktown a virtual fait accompli.” The upstart colonists earned a decisive victory on October 19, 1781. It took another two years until peace negotiations were finally concluded. 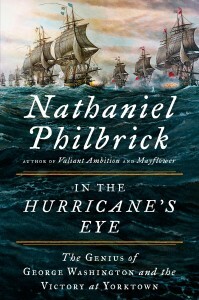 George Washington is mythologized as the father of our country, but Philbrick present a more nuanced individual. French major general François Chastellux wrote of Washington that as “a hero in a republic, he excites another sort of respect, which seems to spring from the sole idea, that the safety of each individual is attached to his person.” But, there was a darker, more mercurial side that brooked neither delay nor perceived disrespect. Alexander Hamilton, for example, wrote to his father-in-law that “I discovered he was neither remarkable for delicacy nor good temper.” Nor were relations between Washington and the French naval commanders cordial. At crucial times, they delayed taking action and acted precipitously without consulting Washington. Some of his genius and a key to ultimate success lay in his ability to bridle his tongue. Able to put his own ego aside, he was acting on “the great scale.” Philbrick presents a detailed portrait of Washington that makes him more real, whether railing at Hamilton or jumping for joy upon learning that the French fleet has sailed into the Chesapeake Bay. His knowledge of the sea—he could have easily become a British sailor—enabled him to see the value of naval strength as a wedge against the British and to accept some of the slights he endured. 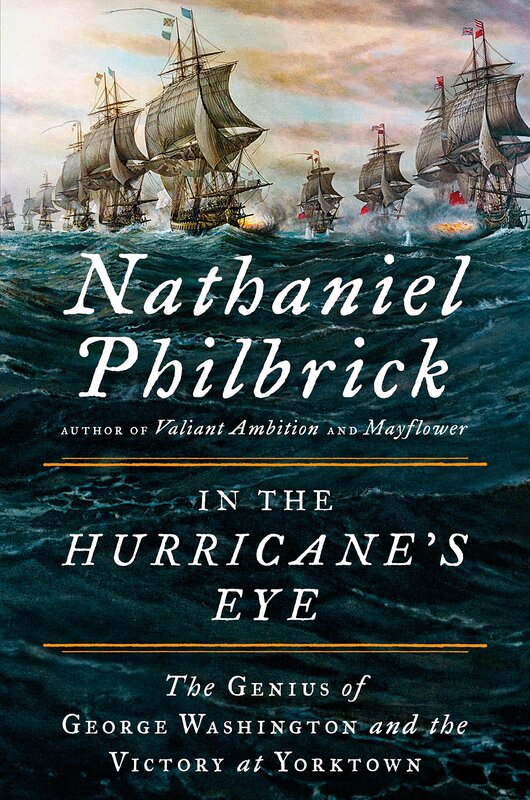 This ten-year writing journey for Philbrick is a brilliant study of the last year of battles and skirmishes that ended the Revolutionary War. We are richer for his perseverance and the treasures of information he brings to the reader. The bibliography and extensive notes that supplement the text make for interesting and informative reading for those who wish to delve deeper into contemporary accounts. Popular history is often justifiably denigrated because it glosses over reality or tends toward hagiography; however, Philbrick elevates the genre by maintaining the highest standards of scholarship and accessible prose. It is the manner in which Philbrick fleshes out the bare bones of history that brings this story to life. One wishes that school kids could be introduced to history through such avenues instead of the dry tomes and mindless recitation of facts they must too often endure.